I'm so excited! I have FINALLY finished my Kindergarten Math Problem Solving prompts for the whole year! I believe so strongly in teaching math through problem solving. I've been doing it for 8 years now, and I am amazed every day by the things my kids accomplish. Instead of standing at the front of the room and teaching my kids how to do math---step by boring step—I pose a problem. The kids work together and use their own strategies to solve that problem. It allows students to make sense of math and to build upon what they already know. The students do the work. I only help them when they need help—and even then, I help “just enough”. Kids love a challenge! And they learn best when they are challenged to do tasks that are just a little bit hard. It teaches them how to persevere when faced with difficult tasks and it builds their confidence when they succeed. It teaches kids how to work together and communicate their ideas. Kids learn much better from each other than they do from us. Math time in my classroom is hands-down one of the favorite parts of our day. In this package, students learn HOW to problem-solve--how to use their notebooks and math tools; how to share their thinking; and how to record their solutions. They also practice counting, explore 2-D shapes and do some beginning addition and subtraction. In this package, students explore addition and subtraction some more, classify and count, compare numbers, explore numbers to 20, and do a lot of measuring (length and weight). In this package, students learn what the +, - and = signs mean and how to use them correctly. They also explore both 2-D and 3-D shapes. In this package, students practice composing and decomposing numbers (including teen numbers), making 10, and using all the skills they've learned to solve a variety of challenging problems. You can purchase each package of prompts individually or buy them in a bundle and save $4. I hope this post has encouraged you to try a little Math Problem Solving in your kindergarten classroom this year! Comment below if you have any questions! 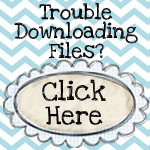 The Texas Version of my Problem-Solving Prompts for the First Nine Weeks is finally uploaded to TPT. I wrote these prompts to align to the new TEKS. Although the new TEKS are not being officially implemented until 2014, I wanted to be pro-active. All of the prompts still work with the current TEKS. (G) display, explain, and justify mathematical ideas and arguments using precise mathematical language in written or oral communication. This is what Problem-Solving is all about! Topics covered include: Learning How to Use Problem-Solving Notebooks, Learning How to Use Math Tools, Basic Counting and Comparing Skills, Composing/Decomposing Numbers, Basic Addition/Subtraction, and 2-D Shapes. I hope these prompts are helpful to you! Please feel free to ask me any questions and give me feedback. I strive to make my products better and better! If you are in my district (RRISD), send me an e-mail from your school account and I will send you these prompts for free. I finally finished my first Teachers Pay Teachers packet of Kindergarten Math Problem-Solving Prompts! If you've been reading my blog for a while now, you know that I am just a little passionate about math problem-solving. OK, so I'm a big nerd! But since I started using a problem-solving model in my classroom several years ago, I have seen amazing growth in my students' math skills. Kindergartners can do so much more than I ever imagined! Problem-Solving is here to stay! If you follow the Common Core, the Mathematical Practices are all about Problem-Solving! Students will use a problem-solving model that incorporates analyzing given information, formulating a plan or strategy, determining a solution, justifying the solution, and evaluating the problem-solving process and the reasonableness of the solution. Students will select appropriate tools such as real objects, manipulatives, algorithms, paper and pencil, and technology and techniques such as mental math, estimation, number sense, and generalization and abstraction to solve problems. Students will effectively communicate mathematical ideas, reasoning, and their implications using multiple representations such as symbols, diagrams, graphs, computer programs, and language. Students will use mathematical relationships to generate solutions and make connections and predictions. Students will analyze mathematical relationships to connect and communicate mathematical ideas. Students will display, explain, or justify mathematical ideas and arguments using precise mathematical language in written or oral communication. Problem-solving isn't just solving word problems...it's so much more! It's inquiry-based math. It's letting kids tackle a challenging task using their own strategies. It's guiding kids--not showing them. It's teaching kids how to explain their thinking in meaningful ways. It's helping kids become independent and lifelong learners! A few of the prompts have already been on my blog (especially in 2-D shapes and Learning How to Share). But they're good! And there is PLENTY of new stuff--including almost all of the counting and addition/subtraction prompts. I also include teacher notes for each topic and questions you can ask your kids during share time to deepen their understanding and work out misconceptions. For my Texas peeps, I'll be uploading a Texas version this weekend (with TEKS instead of the CCSS). And I'm working hard on the sequel (for the second nine weeks) and will post it sometime in September. In the meantime, I'm going to blog a lot about problem-solving over the next few weeks--detailing what it looks and sounds like, what kids do, what teachers do, tips for assessing and keeping data, warm-up and computational fluency ideas...please...someone stop me! And if you buy my Problem-Solving prompts, please let me know what you think! It's your feedback that helps me create better products! Thank-you all so much for your amazing support and encouragement over the last few years. You make blogging fun! I just put another packet in my Teachers Pay Teachers store. The activities in this mini-unit are fun enough to engage kids but simple enough to allow you to teach specific expectations for using those science tools. (Like, I don't know, maybe DO NOT put the dropper in your nose). So head on over to my Teachers Pay Teachers store to check it out! School Tools Emergent Reader and Sight Word Set--YAY! I finally finished my latest full-color emergent reader and sight word set for my Teachers Pay Teachers store! I really love this one. It's an emergent reader, with a simple, repetitive pattern: Look at the ____. But you also have the option of including pages that teach children the expectations for using all of their school tools--perfect for the beginning days of school. So head on over to my Teachers Pay Teachers store so you'll be ready to go before the first day of school!